The first title in our exciting new Fennec line for pre teens is released today! 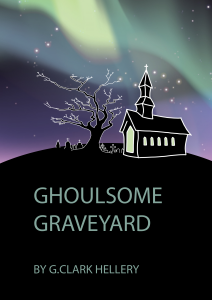 Ghoulsome Graveyard by G. Clark Hellery When the local graveyard is scheduled for redevelopment, journalist Catherine decides to help the residents. She decides to hold a fete and enlists the help of everyone living in the graveyard but with ghosts, … Continue reading "Fennec gets Ghoulsome"